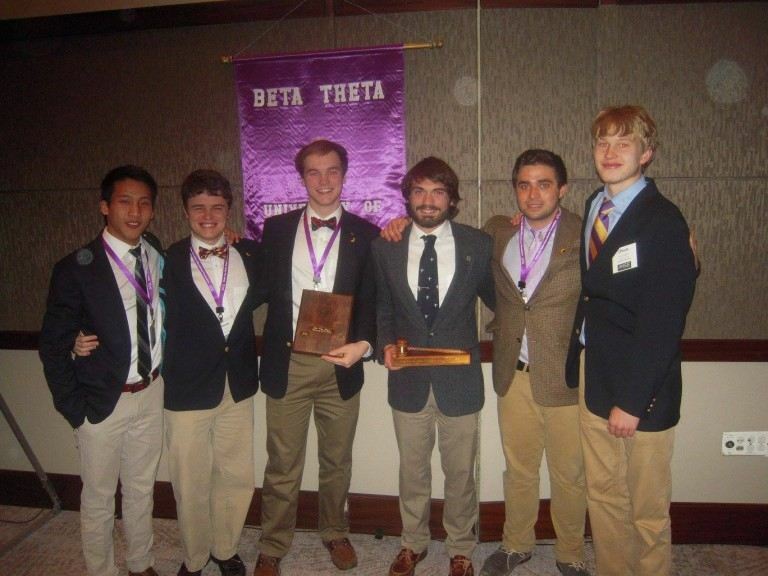 The men of the Beta Theta Chapter of Delta Tau Delta at Sewanee: University of the South received an impressive distinction at this year’s Southern Division Conference. The chapter was inducted into the 2016 Court of Honor for being one of the top 20 chapters of Delta Tau Delta. This award is based upon the Fraternity Award and Accreditation Report (FAAR), which reports on the operations and programming of each chapter. Although Beta Theta is a smaller chapter, it placed second in the division for philanthropy, raising more than $22, 000 for JDRF and St. Jude Children’s Research Hospital. The chapter also excelled academically, maintaining the top GPA on campus for seven semesters in a row. At the Southern Division Conference, the chapter was recognized for outstanding academics and philanthropy. The entire brotherhood can be proud of the things these young men have achieved, and the good they have done for the fraternity and their community. As you can see, alumni involvement is a key component of individual chapter excellence. Supporting the young men of Delta Tau Delta with your time, talents, and donations helps the next generation of leaders rise up to make the world a better place. Now more than ever, the world needs leaders who value truth, courage, faith, and power. Delta Tau Delta is a place where these leaders can rise, as we’ve seen in the example of the Beta Theta Chapter. We hope you will consider helping other young men do the same.